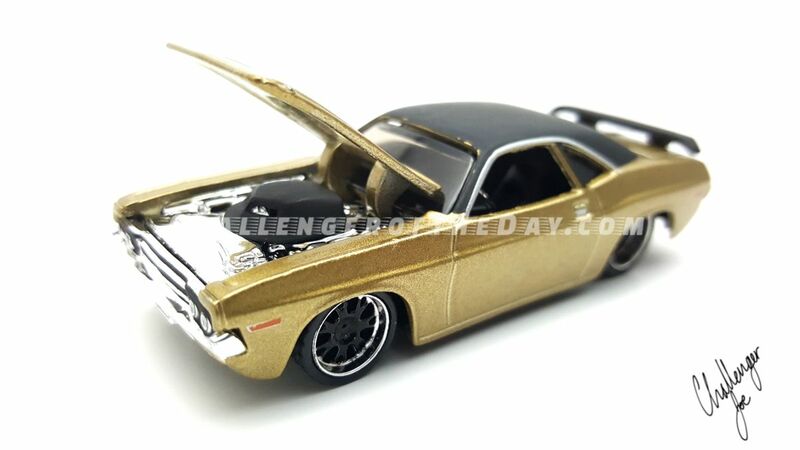 There's something special about every Dodge Challenger and there's something extra special about any gold Challenger. The color reminds me of the original 1970 Dodge Challengers and when I look at it I think about those old pictures, commercials and ads. 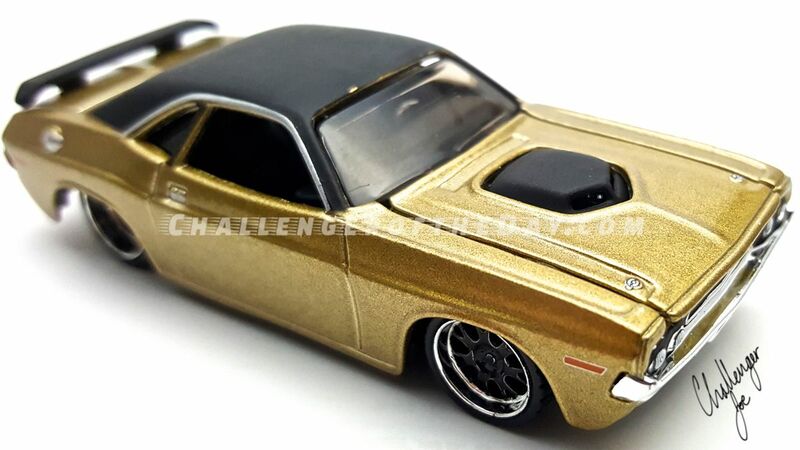 A few Gold 1970 Challengers are still around today too! This Gold paint has the same classic look and takes you back in time. With chrome bumpers, rear trim and chrome front grille Maisto really goes all out with this 1970 Dodge Challenger. The functional opening hood displays a bright chrome engine bay and satin black Shaker. Love that shaker! 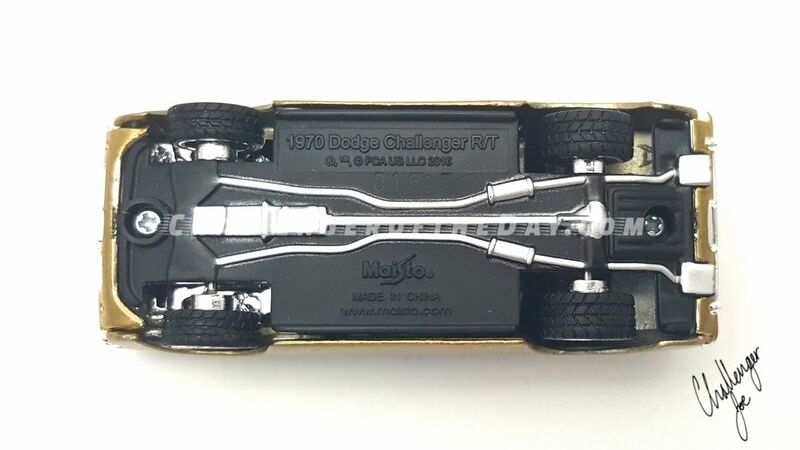 Add a chrome steering wheel and there is more than enough shiny chrome to go around and yet it accents the gold nicely and does not over power that gold sparkle! The Black rear wing along with black and chrome-trimmed deep-dish rims compete the package of this something-out-of Elvis-in-Las-Vegas showstopper. The sparkle doesn't stop when the curtain drops either! 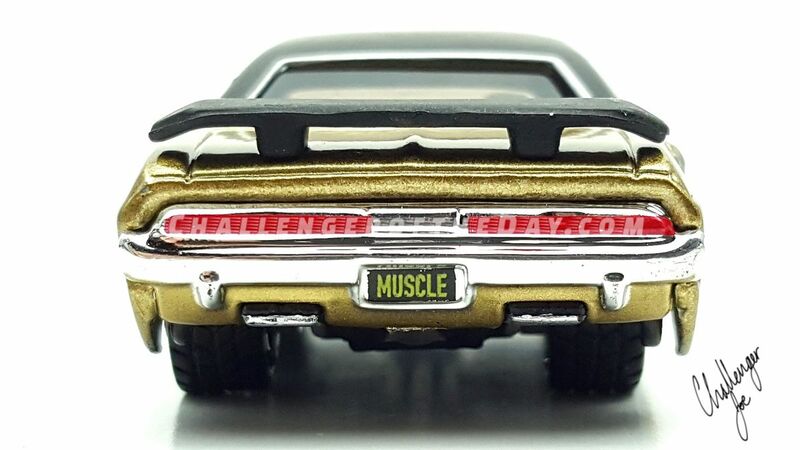 The Painted Silver Base, detailed door handles, hood pins, gas cap, headlights, quad tipped dual exhaust and License Plates scream MUSCLE like the package says! 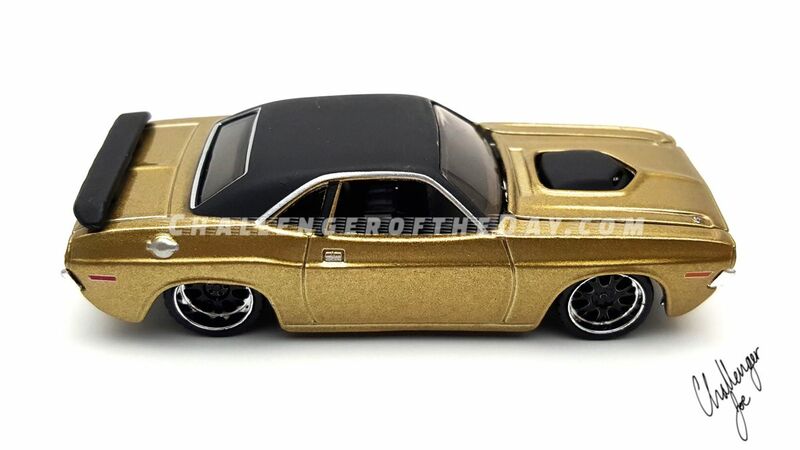 Check out some of the other photos of the Maisto Design of the Gold 1970 Dodge Challenger RT with Shaker. 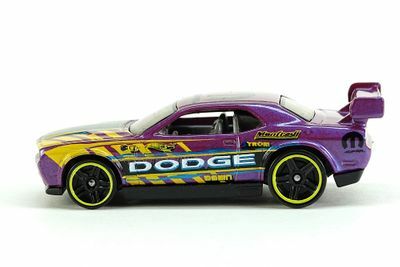 Make sure to check out some of the previous Dodge Challengers that have been showcased on our website! Enjoy. 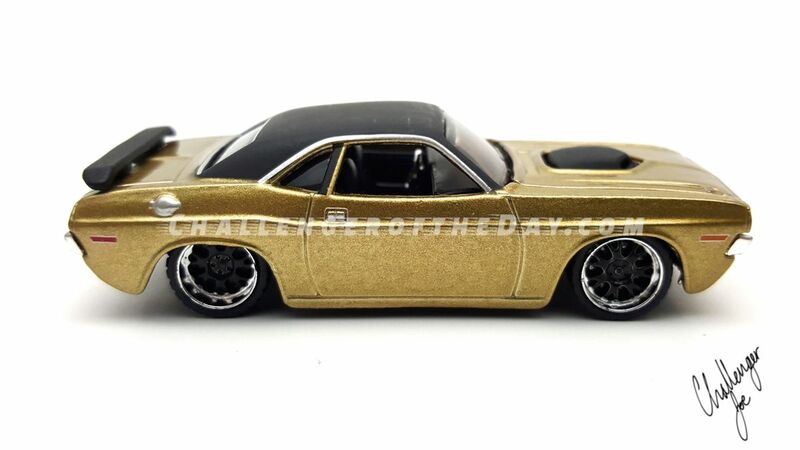 Hot Wheels gets the checkered flag before it even leaves the box with this 1970 Dodge Challenger! 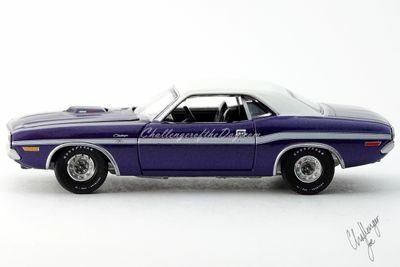 This Challenger of the Day is a very special Plum Crazy 1970 R/T with a 426 Hemi and Shaker hood. Like many, this is the Challenger of my dreams. Not sure where to begin...Every Challenger is special to me. Every scale, every detail, Everything Challenger for me!